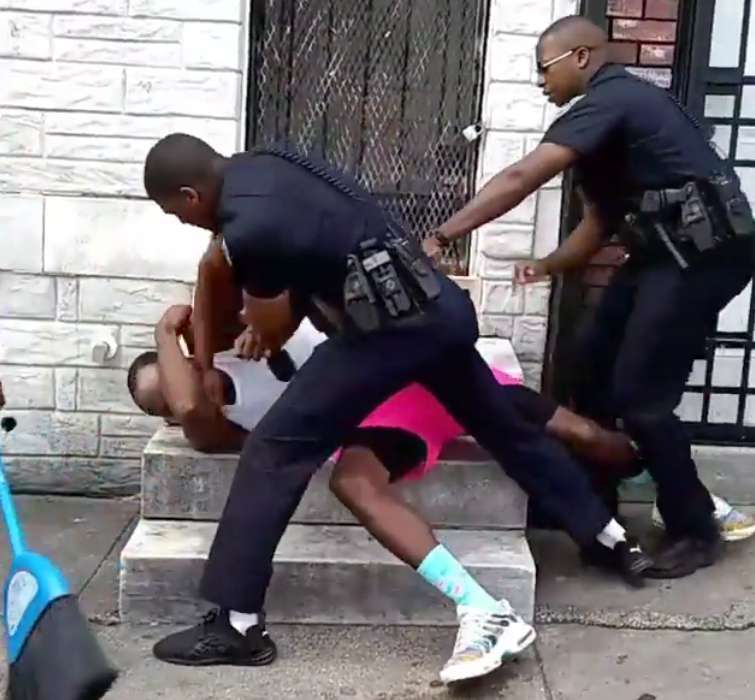 A former Baltimore police officer has been indicted on an assault charge after a viral video showed him repeatedly punching a man, authorities announced Tuesday. A grand jury has indicted Arthur Williams on charges of first-degree assault, second-degree assault and misconduct in office, authorities said. Authorities said an arrest warrant has been issued for Williams' arrest. In the video, the officer repeatedly hits Dashawn McGrier in the head and body. He continues to throw punches as he tackles McGrier to the sidewalk, pinning him to the ground. The officer was suspended Saturday and handed in his resignation on Sunday. In a statement, Interim Baltimore Police Commissioner Gary Tuggle said he was "deeply disturbed by the video." He said, "officers have a responsibility and duty to control their emotions in the most stressful of situations." But McGrier's attorney, Warren Brown said his client, who had been on the force for just over a year, tried to provoke his client. Brown claimed the officer arrested McGrier back in June for allegedly assaulting him. A charge McGrier is fighting in court. In recent years, the Baltimore Police Department has faced a number of allegations of police brutality and fabricating evidence. In January, an officer was indicted after his body camera appeared to show him planting drugs at the scene of a bust. And in 2015, the city faced a series of protests following the death of Freddie Gray, who was injured in police custody and later died.